The Pink Sash meeting was held on the 1st of November. The state committee's concluded their planning and forwarded the information to the State Secretary for printing in the Blue Book. The programs and contests they have planned will probably be listed in this issue. The State Directory and the 125 edition of the Journal of Proceedings should also be at the printer. Aside from the Journal, these will be available at the Schools of Instruction. Many of the deputies have already picked dates for the schools and they are listed in this edition. Subordinate Masters will also be notified by their deputy. I will be bringing much information about the National Session to these meetings. We did send seven resolutions to National. 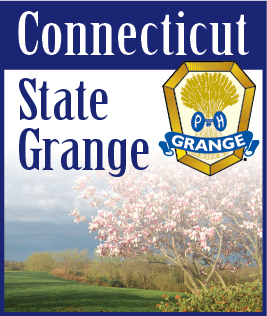 November's edition of the Granger listed the resolutions that were adopted at the State session. The ones that went to National are resolution #3, #11, #22, #26, #34, #35 and #36. Other items will be discussed at the schools and of course I will be available to answer your questions. The Pomona inspections and the subordinate evaluations will be handled the same as previous years. It is important for the Grange secretary to fill out the questionnaire that is sent to them prior to the evaluation. Each Grange should also have available the Executive Committee report and the secretary and treasurer's books and accounts for the entire year. That's from last year's evaluation to this year's evaluation. I would also like the committee directors to write a report of their activities. I rely on these reports to learn about your Grange. Sister Marge and I are now packing for National. I hope to learn more about the Northeast Leaders Conference then and will pass this information on to the state committee directors when I return. They all know that it will be in Vermont and it is usually the second weekend in January. So be ready to go. This is a great time of year. Thanksgiving has just ended and everyone is preparing for Christmas. I hope you all enjoy your Grange parties, Sister Marge and I will be attending some of them, and remember the less fortunate children this year. We wish all of you a VERY MERRY CHRISTMAS and a HAPPY and PROSPEROUS NEW YEAR.